Zack the Guide Dog was born at Southeastern Guide Dog School in Palmetto, FL where he was matched with “his mom,” my friend and associate Audrey Gunter. Shortly thereafter, Zack began to forge an indelible mark on society, in general-teaching others about guide dogs and the proper etiquette necessary from the public. He helped establish and pass South Carolina's Guide Dog Protection Law ("Layla's Law"); brought several hospitals' policies regarding service dogs into ADA compliance; made hundreds of public appearances promoting public awareness while offering peer mentoring and advocacy for the blind. He raised enough money to sponsor at least 5 special puppies that would eventually be trained to serve as guide dogs. In his short lifetime Zack traveled thousands of miles, across dozens of states always the pillar of strength and independence for his mom. Their most memorable journey together, though, was that beautiful Sunday morning-Palm Sunday, in fact- when he led his mom down that church aisle to receive and accept Christ! Since that time the two of them became licensed and ordained; anointed; received special dispensation to receive Holy Communion in an Indiana Catholic church; had their feet washed (he drank the water); received and projected the "Laying on of Hands" practice. He has visited virtually thousands in schools, hospitals, churches, businesses and assisted living facilities. Zack even took time out of his busy schedule to pen “Zack’s Tales,” a “pawdobiographical” account of his early days and his first two years of working together with his mom. 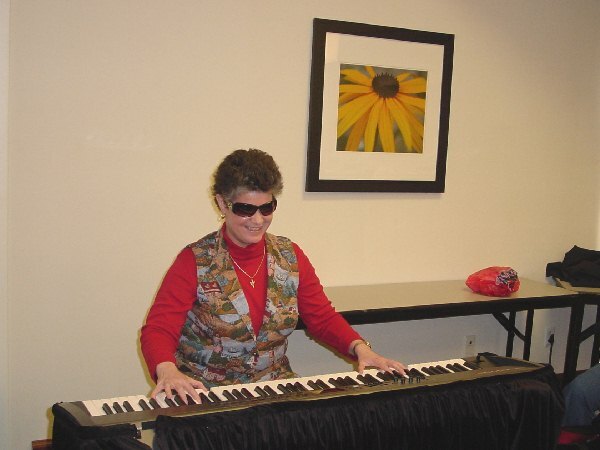 Proceeds from “Zack’s Tales” continue to help Music By Laurel Jean provide talking Bibles to those whose vision loss, learning challenges or other physical impairments prevent them from reading regular print. Zack was truly a loyal friend of the blindness community and a friend of this ministry since we met in 2005. He was there at the Camp Lakewood Accessible Vacation Bible School for Blind Youth when Taylor accepted Christ, and witnessed Taylor’s baptism at Grace United Methodist Church in Charleston, SC. He supervised countless hours of administrative work and was always ready for a road trip to help spread the Good News about blind faith and God’s guiding Light of Salvation. Zack taught me a lot about guide dogs. As an avid cane user, I was honored to be part of the first Southeast Region Top Dog Workshop which he and his mom founded in 2006. He was, indeed, an ambassador. 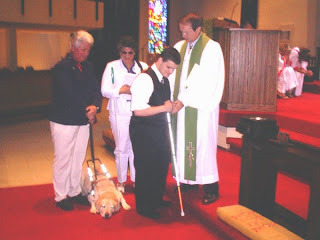 He helped teach blind and sighted folks alike that cane users and guide dog users can and do serve together as positive members of the community-at-large. In his off-harness time, it was a treat to run on the beach or splash in the ocean surf with him. Zack always waited with exuberance for an opportunity to play ball, and it was a joy for me to play with him. While he never really cared much for the long, white cane, he finally avowed as how it did come in handy when the ball rolled under the furniture. Zack seemed to really enjoy music, though. In fact, whenever he was present during my rehearsal times or my Live concerts, he provided a steady accompaniment with that snore which was unmistakably Zack. In October, 2009 Audrey fell, breaking her leg, hip and wrist. As an indefinite period of rehabilitating therapy loomed ahead of her, I knew that Zack must not lose the sharpness of his guiding skills. For several weeks thereafter, my white cane stood in the corner as I grabbed Zack’s harness each day and said, “Come on, Zack. 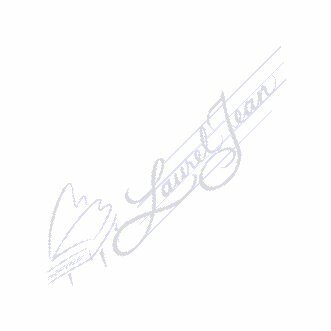 Aunt Laurie really needs you!” I had never worked a guide dog in my life, but I must have convinced him that he was needed. He worked flawlessly for me, guiding me as we went on errands, gave presentations and, most importantly, made daily trips to visit his mom at the hospital. 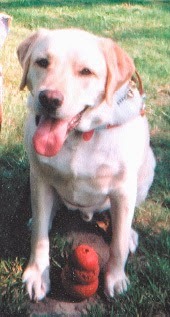 It was during these weeks when I learned how very gallant was the heart of this beautiful, Yellow Lab as he braced to push me away from a very large freight truck near the loading dock of the hospital. I couldn’t help laughing the first time I ever sat down at the piano with him in harness and he decided to “help” me play, lying down perfectly right across the instrument’s pedals. What a glorious cheer went up from the choir when just 21 days after her surgery, Audrey came walking into church using only a mobility cane! Zack grew to be “a grand old man,” as his vet often referred to him. His retirement was filled with many ball games, food-snatching escapades and time spent with family. All too soon, God called Zack home to be with Him. I was with Audrey and Zack during his last day on this earth. His last steps were made from Audrey’s den into the living room, where he laid by my piano and looked my direction as if to ask me to play for him. Of course, I did and he calmed down immediately. His gasping for breath slowed down to that constant snore of his and he settled down into his mom’s arms, where he would slip away into the arms of Jesus. So many of us are so much the better for having known and loved Zack that wonderful, whimsical, ever-loving, ever-faithful Guide Dog. He left his paw prints on our hearts, and for that we are truly grateful. Read more about Zack’s life and see more pictures of him on the Web site of Dixie Land Guide Dog Users, Inc.